Immersed in a series of paintings from his 2013-2015 stay in Vancouver, Han-Tokun is engaging in a performance x installation practice that will include spontaneous workings on a canvas itself, these little burst of collective inspirations that many of times includes other artists creates little shreds of interesting moments either born out of random subconscious efforts , sometimes, it is simply this state of nothing-ness and banality that lead us to forsake our own originality and join the crowds of the no- face. 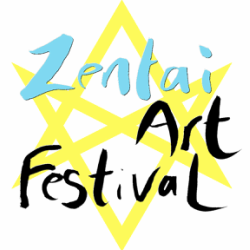 For the Zentai festival, he wishes to work with other artists and transform a gallery space into a living artists space that lends to the growing meta-narrative he is currently writing. The novel will be out on August. There’s a story that we all share, collectively, it is his hope that there will be recordings done on the day.